Lyrics to the song The Right Stuff as recorded by Bryan Ferry. Who is that woman with the crooked smile? You got the nerve, who's gonna win? The Right Stuff began as an instrumental called 'Money Changes Everything' written by Johnny Marr for The Smiths. The track was the b-side to The Smiths single 'Big Mouth Strikes Again'. Johnny sent a tape of the track to Bryan Ferry while he was working on his Bete Noire album in 1987. Bryan wrote lyrics for the track and recorded the song with Johnny Marr guesting on guitar. 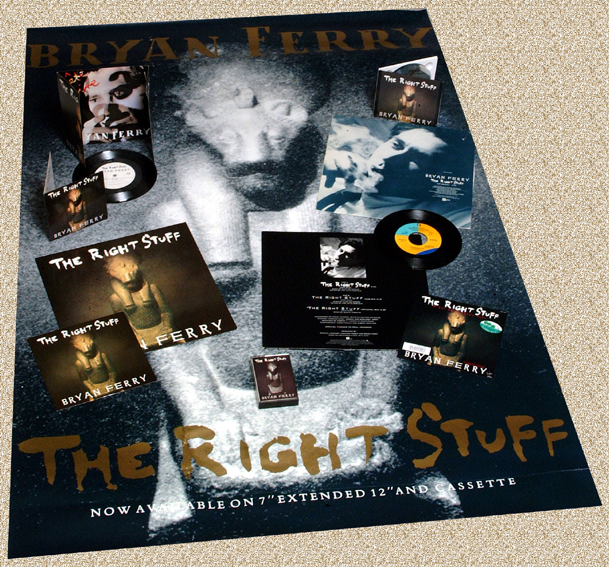 The song was played throughout Bryan's 1988/89 tour with Johnny Marr doing a guest appearance at the Manchester show of this tour. The song mixed by Bruce Lampcov was coupled with a 'Brooklyn Mix' of the song peaked at number 37 in the UK charts in 1987. Johnny Marr Guitar (The musicians for this song have never been individually named, other than the general album credits on the Bete Noire album).